Drumatom is the world’s first microphone leakage suppression tool for multichannel drum recordings. Drumatom2 reduces cross-microphone bleed on recorded drum tracks without altering the drum tones. Using advanced signal analysis and processing, drumatom determines the difference between a snare hit and a hi-hat hit, allowing you to reduce the level of the hi-hat from the snare track while preserving the snare sound, even if both snare and hi-hat were struck at the same time! Since drumatom filters out bleed based on tonal content rather than amplitude, low-level signals you want to keep - like ghost notes on a snare - are preserved while mic bleed signals are significantly reduced. drumatom also reduces phase cancellation and comb filtering effects — two problems common with multitrack drum recordings. 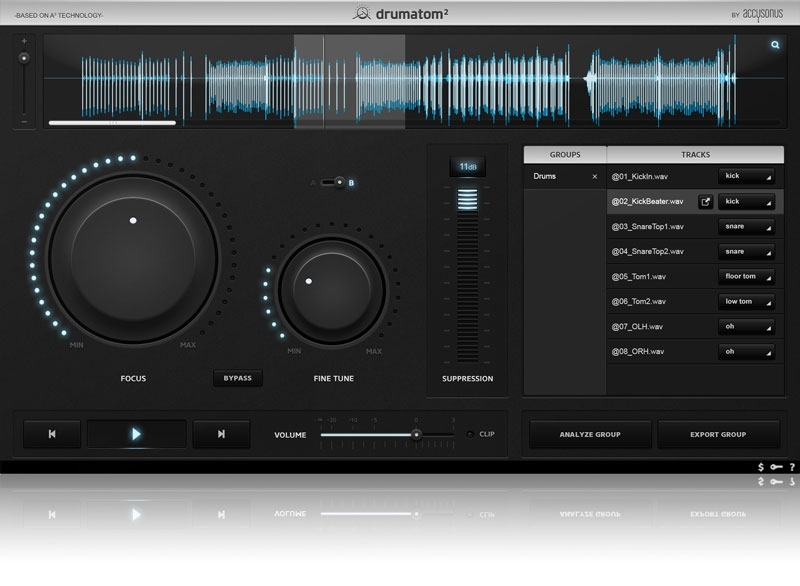 By providing greater track separation, drumatom allows for more individual processing of drum tracks. Imagine dialing in a problematic kick drum track without affecting the snare drum sound that had bled onto it. Drumatom is a stand-alone MAC & PC application every sound engineer can use to mix drums like never before. Boost highs on the snare channel without introducing harsh hi-hat crosstalk. Add reverb on rim shots, mix hot and panned toms without phase shifting or adding harshness to the cymbals. Don’t be surprised if, after using drumatom on a drum mix, you want to go back and use it on all your mixes! The companion drumatom player plugin allows you to control the bleed of your analyzed drumatom tracks from within your DAW, providing a whole new level of control during mixdown. Auto matching of algorithms to track names, kick to tracks named “kick”, snare to tracks named “snare” etc. Drumatom supports loading of .wav and .aiff file types for both Windows and Mac. Mac users may also use .caf files. Please note that drumatom does not currently support loading of files with different sample rate in the same Group. Effortlessly shape the sound of your beats with 4 intuitive controls: Boom, Punch, Squash and Air. Blend analog-style processing with modern digital technology. Transparently fine tune or fully transform your beats with the turn of a simple dial. 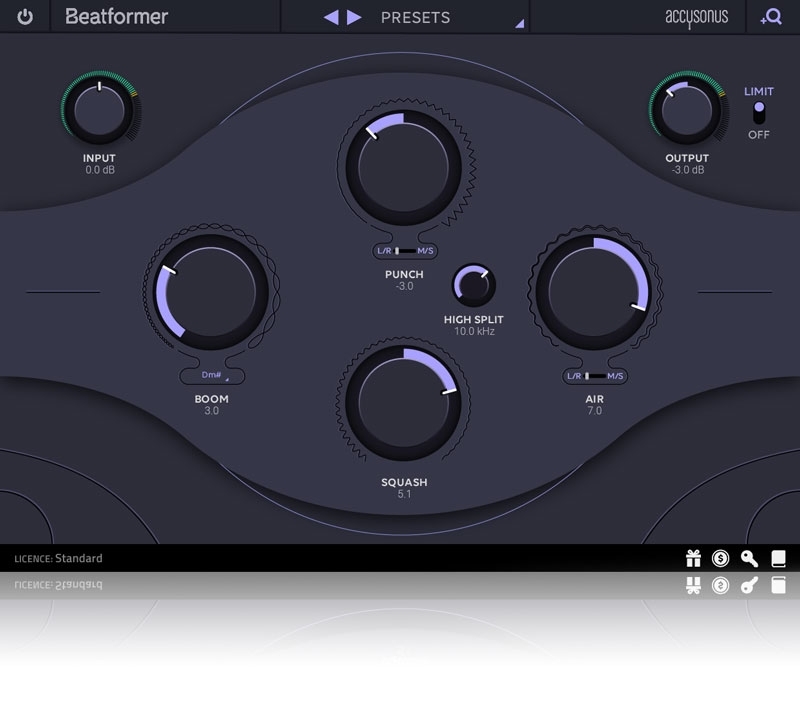 Beatformer enhances beat musicality. 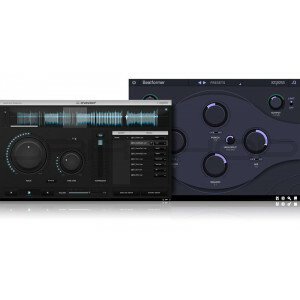 Beatformer features four knobs (Boom, Punch, Squash and Air) that control more than a dozen Digital Signal Processing algorithms in the background. Contrary to conventional processors, the plug-in's design is focused on enabling users to effortlessly shape their beats, without compromising their character and musicality. 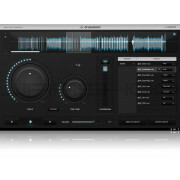 Beatformer can be used on any beat track, either for transparent or extreme sound manipulation.